I finished The Hate U Give, written by Angie Thomas, two days ago and I am still mulling over the many themes in this novel. The protagonist, Starr Carter, spends her days in two worlds, the poor neighborhood she calls home and the suburban high school she attends. Her life, already full of challenges by the time she is 16, is upended when she witnesses the murder of her best friend. I immersed myself into her world and its characters and I did not want to leave until I was done. The conflicts Starr must face, internal and external, forced me to consider my experiences attending predominately white schools and my role in social justice activism. That question stood out because I have wondered if memories are really enough to sustain a relationship, at least a close one. When I think of my deepest relationships outside of my family, there are some similarities. Some began because we went to the same school, church, or worked at the same company. One might say proximity played a role because the relationships began because we saw each other often, almost daily, if you think of school or work, and we got to know one another. But it takes more than proximity to become friends. I’ve always been a little amused by people who think that someone they work with is a friend just because they see them in the office every day. It reminds me of a story a friend told me a long time ago; there was someone he often shared a ride with but he later realized that they were not really close, they were simply going in the same direction. If being in the same place does not make us friends, then what does? I believe shared experiences, an open heart, and a willingness to learn from each other are essential to becoming friends. I might connect with someone right away because I like something about him or her, but attraction is not friendship, or at least it might not be. My deepest friendships have generally been a surprise; I seldom saw it coming at the first meeting. It is like a gumbo or a stew. In the beginning it seems to be a collection of ingredients, a mishmash of conversations, events, and revelations, with the occasional misunderstanding that needs to be sorted out. Only over time does the flavor deepen, getting richer and more nuanced as we let things warm up. The murder of Starr’s friend makes her question what it means to be a friend, to be loyal, and to stand up for what you believe. Starr has a big decision to make—retreat and be silent about what she knows, or open her mouth and speak the truth despite the inevitable negative consequences and challenges to her safety and relationships. I have had one or two friendships made closer by how someone supported me in a difficult situation, but not all have required that for me to know that the friendship was special. Very often, it was because of experiences, now memories, which we share. In the most longstanding friendships, we not only have the old memories to go back to, but we create new ones by going through life together, or talking about what we are going through—the good, the bad, and the crazy. A memory may not be enough to sustain a friendship that has gone sour, but it can be the roux in the pot that holds it together when we cannot see each other as often as we’d like. This book made the 2017 National Book Award Longlist and is a New York Times bestseller. I hope you’ll read The Hate U Give, consider what it says about social justice and friendship, and share it with others. It’s a YA (young adult) novel, which might cause some to pass over it. Don’t—the writing is excellent and Thomas tells a great story full of characters you will recognize, if your world is as open as it could be. If not, then read it to understand another side to the many issues which are being debated and legislated these days. Happy Valentine’s Day! I celebrate this day because I was brought up on the idea that love extends outside our front doors, goes in the neighborhood, schools, and the world around us. And the world needs an extra hug, wink, or a blown kiss right now. So don’t worry about not having a date, or the box of chocolates, don’t rush out and buy gifts. Just send a little love and hope out today. That will be enough, trust me. I live in northern Indiana and often drive to Cincinnati, which is a four-hour drive through cornfields and around Indianapolis before the hills and trees of the southern Ohio valley come into view. Earlier this week I was about an hour away from home (I will always call Cincinnati home, even though I have not lived there for years) when the warning lights flashed on the dashboard. First I heard a beep, the check engine light lit up, followed by a funny-looking icon. My car, although it is reliable, is old and I thought about stopping to see what was going on. But the lights went off and so I drove a few more miles. Then they flickered again. I decided not to risk a forced stop on the highway, took the next exit and pulled into a parking lot near a bank. Something in me said to find a space with no cars nearby, just in case I needed a tow. It was a warm day, a late morning on a busy street, so I was not worried about my safety or the weather. I have had this car for over 21 years and driven it more than 244,000 miles. Maybe it was time to accept that I would finally have to dip into savings and get a new car. But I did not want to. I check the oil, get it serviced, anything to keep it running. Even after all of those miles, I believed that there was more life in the car if I took care of it. A quick look at the owner’s manual convinced me that it was a minor problem that could be resolved once I got to Cincinnati, now about 60 miles away. I settled back into my seat and put the key in the ignition, eager to continue on. I turned the key; nothing happened. I turned the key again—no click, no engine starting, the only response was the sound of jostling keys. My car had given out, after all I had done to keep it running. I have had friendships like this, ones that seemed to fade away even after I tried to keep them alive. I find myself wondering whether it is worth it to keep jumpstarting them or if I should let them go. It could be age; over time I have become more thoughtful and intentional about my relationships. Some friendships are closer, because of years of shared experiences and being there for each other. A few are stronger after a temporary distance, because we came back together, talked and decided not to take the relationship for granted. But a couple are not going as well. My interests have shifted, perhaps that is part of it. My tolerance for certain behaviors has definitely changed. Things I might have overlooked when I was younger or for which I made excuses, they now make me tired. I am figuring out how much more effort I want to put into these types of friendships. I do not bail out on people easily, but sometimes space is needed, or my acceptance that the relationship may have run its course. Resigned to the fact that my car needed more than a jump, I called AAA to arrange for a tow to Cincinnati and a couple of hours later, I sat in the service department, handed them the keys and left my car. I was certain that this was it; I would have to buy a new car. Somehow, I could not help thinking that maybe there was something else I should have done to avoid the breakdown. But then again, I always checked the oil, used the right gas, drove safely—what more could I have done? The next day the dealer called to tell me that car could be fixed. They had to order a part and some belts, but they would have it ready in a day or so. I was relieved. I can drive this car a few more miles, or months, maybe years. I don’t know; I will have to take it one road trip at a time. I thought about my friendships. I could let some slip away from lack of attention. I could decide that the effort required to be in them exceeds the mutual benefit of trying to maintain them. Or I can remember the memorable trips we have taken through life, the easy, flat roads where we coasted along, the hills and valleys that were harder to navigate but still a part of our journey. 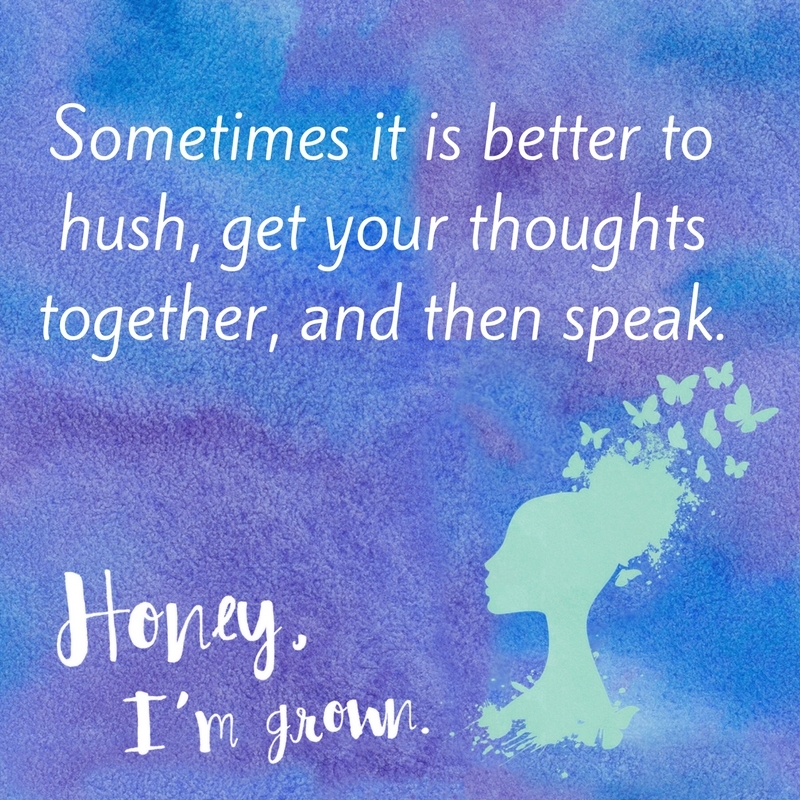 I can give it another shot, trying to be more patient, less sensitive or irritated. I might accept that I have done all I can or want to do, and let that be enough. I have spent so much time in these relationships, depended on my friends to help me make my way through life, and at other times I have been the one to lead the way, to carry them through a tough spot. Tossing aside an important friendship without trying to fix things would be foolish. I have been down this road before; I know the difference between when to let go and when to check if all that is needed is a little repair.